All cat owners know that the staple food of their fluffy friends is meat but are peas good for cats? Find out the answer in this article. Being obligate carnivores, cats require meat-focused diets in order to live a healthy life but they could enjoy other kinds of food as well. For most humans, fiber-rich peas are healthy additions to the daily diet: they offer a lot of nutrients but are peas good for cats? Because of differences in the digestive system, a couple of foods that human like might give their pet serious troubles. Therefore, pet owners have a hard time deciding whether or not to give their cat some peas once in a while. So your cat seems to like munching on peas and you don't really know if you should stop it? If that happens to be the case, this article could show you a few pieces of information about the issue. Down below, you would be introduced to the effects of peas on the average cats and the best way to serve them to your pet. Generally speaking, different cats have different biology so there is no such thing as a safe food for every cat. However, as long as you pay attention and know what you are doing, it's not hard to assemble a sound diet for your pet. Before we actually talk about the issue of "are peas good for cats", let's take a quick glance at the peas and their characteristics. To put it plainly, peas are spherical seeds of Pisum Sativum, a cool-season pod fruit that is grown in many parts of the world. Pisum Sativum is an annual plant with a life cycle of 1-year and each of its pods possesses several peas. 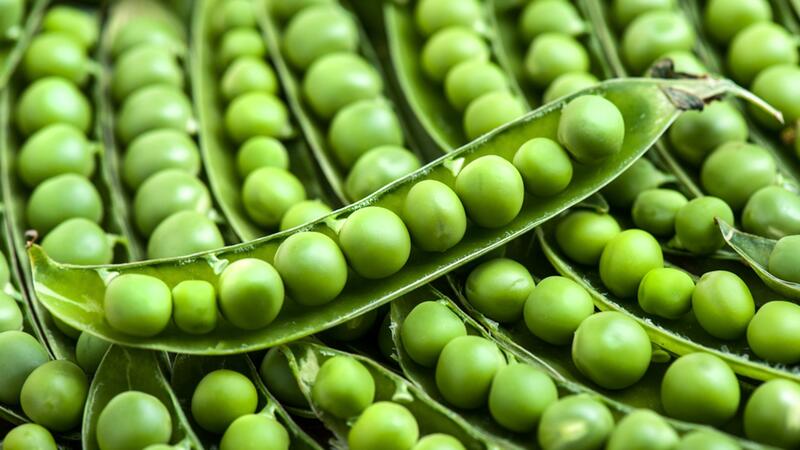 Depending on the purpose, people process the peas in multiple fashions (steam, boil,...) but it's also possible to consume the Pisum Sativum seeds fresh. As they are filled with vitamins, minerals and so on, peas have various positive effects on humans and cat alike. Since peas have plenty of fiber content, they soothe the gastrointestinal tract and offer substantial boosts to the digestive system. Especially, for cats that experience occasional constipation, adding a couple of peas to their meals would help resolve the trouble. Since peas contain a low amount of calories, pet owners could use them as treats and still keep the weight of their pet in check. Numerous cat foods actually have peas in them as well. Regarding varieties, there are 3 types of peas available for purchase on the market: snap peas, snow peas and garden peas. All these peas are safe for consumption but garden peas seem to be the most common type at local stores. Pets would have no trouble eating all these peas regardless of the condition they are in but when it comes to frozen peas, make sure that seeds are soft enough. Besides that minor issue, most cats should be able to eat every kind of pea their human caretakers give them. So far, experts fail to detect anything in peas that might prove toxic to the body of an ordinary cat. Because of that, the answer to the question of "Are peas good for cats" is "Yes, they are. But you have to keep everything moderate". Once again, cats are obligate carnivores and that means they need to eat fleshes of other animals to acquire nutrients. Therefore, if you want to add peas to the meal of your pet, ensure that the meat portion remains sufficient. Peas themselves are unable to serve as replacements for meats. Since peas have a bit of sugar, cats like to take a bite of the seeds at the earliest opportunity. However, it's a good idea to play it safe and give out a few peas at the beginning and see how things turn out. If a cat absorbs more peas than its body could handle, vomiting, diarrhea,.... would follow. In the case, your pet reacts in a strange manner to the peas, stop and consult a qualified vet for advice before doing anything else. Otherwise, feel free to hand out the seeds as treats and give your cat peas a couple times per week. At this point, we already have cleared up the issue of “are peas good for cats” so let’s see how pet owners could feed peas to their adorable kittens. Refrain From Seasoning The Peas: While we like using garlic, onion.... while cooking peas for human, it must be avoided when it comes to cats. Not to mention the smell and taste that could turn away the pets, certain seasonings are actually toxic to cats. Attempt To Mix Thing Up: Most cats like routine and that is why if you want to adjust their daily diet, you should mix new foods and old foods together. 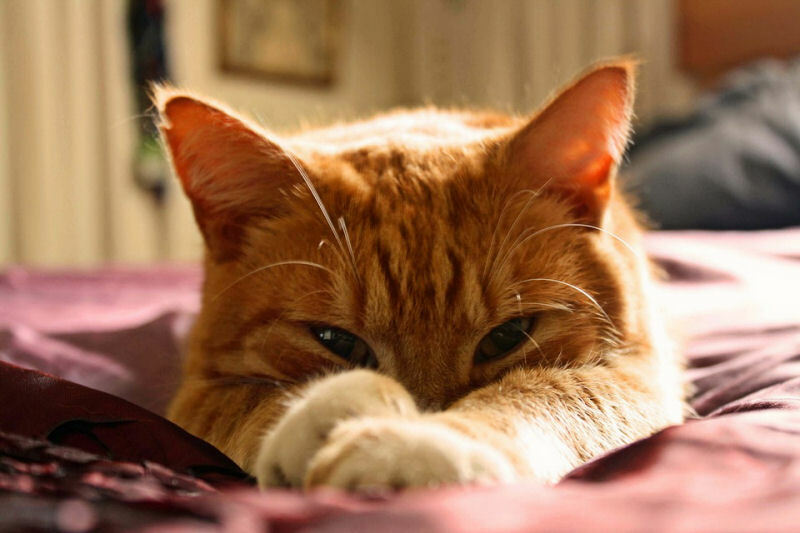 That lets you gauge the response of your pet and plan your next move accordingly. Take The Environment Into Account: Some cats like to eat alone while others prefer to have their meals with the company. Depending on the habit and temper of your pet, set up the feeding bowl in a manner that helps the cats accept to eat peas. Use Hunger As A Weapon: Similar to human, cats don't get picky if they feel hungry and you should use it to your advantage. Instead of filling a huge feeding bow every morning, go for multiple small meals and hold back the food for a few hours between them. Stimulate The Appetite Before Meals: Considering the fact that cats are nature-born predators, they obviously love to chase and catch foods on their own. As a result, you should purchase an interactive/puzzle feeder so your pet needs to work for its daily meal.